You have been approved for a lump sum payment of US$850,000.00 in this year Western Union Lottery Awards. 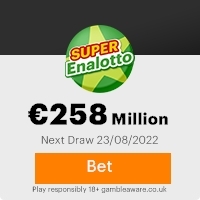 Your Email ID was one of the selected email all over the world in the lottery draw and it comes out one of the lucky winning number. This award was been selected through the internet, where your e-mail address was indicated and notified. The Western Union Burkina Faso collects all the email addresses of the people that are active online, among the millions of our customers who use Western Union in their business transactions. Six people are selected yearly to benefit from this promotion and you are one of the Selected Winners. Now we have arranged your payment of Eight Hundred and fifty Thousands United State Dollars (US$850,000.00) to be sent to you through Western Union Money Transfer. We will be sending the money to you via Western Union Money Transfer, the amount you will receive per day is $10,000. As We have concluded to effect your payment through western union Money Transfer. You will be picking up $10,000 daily until the US$850,000.00 is completed. Therefore, you are required to contact the Western Union Money Transfer Office via email or phone as listed bellow for an immediate release of your funds to you. Tell him to give you the full payment informations,including the MTCN number, Sender name, Question and answer for you to pick up your first payment of $10,000 Dollars. Note that there is Processing fee of $210 for the payment. You will be expected to pay for the Processing of the payment before he will release the full transfer details to you.Please Bear this in mind before forwarding your informationâs to him. Comply now because as soon as you send the above required details to Mr.Omar Abdul Samad, he will start sending your payment by Western Union Money Transfer.His contact email is( western_union_office@terra.com ). Previous: Donation From Mrs. Reb ... BarryFresh ScamsNext: INFORMATION !!!!!!!!!! ... !!!!! This Email with the Subject "Attention/Dear Lucky Winner," was received in one of Scamdex's honeypot email accounts on Sat, 13 Aug 2011 06:36:15 -0700 and has been classified as a Generic Scam Email. The sender shows as Western Union Lottery Award <wuo001@hotmail.fr>, although that address was probably spoofed. We recommend that you do not attempt to contact any persons or organizations referenced in this email, as you may expose yourself to scammers and, at the very least, you will be added to their email address lists for spam purposes.